Most of us would be familiar with traditional favourites like the pad thai, tom yum goong or fish cakes. 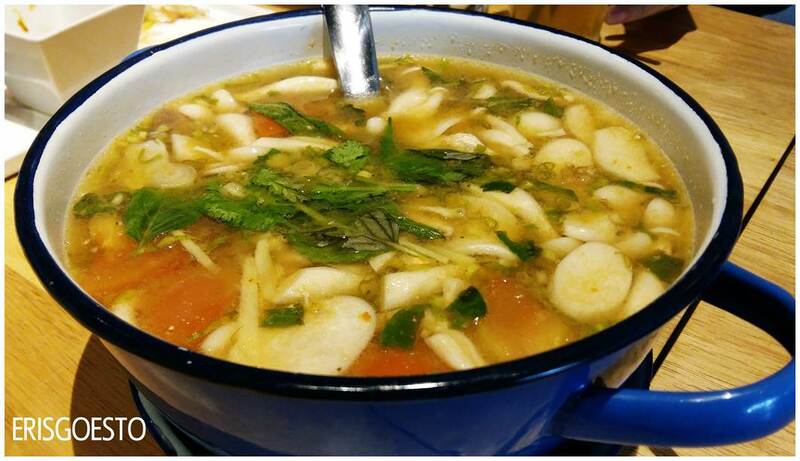 With Thai fusion, which blends Thai ingredients/spices and flavours with those from other cultures – the result is something phenomenal: as I discovered at KomPassion Restaurant in Taman Tun Dr Ismail, KL. 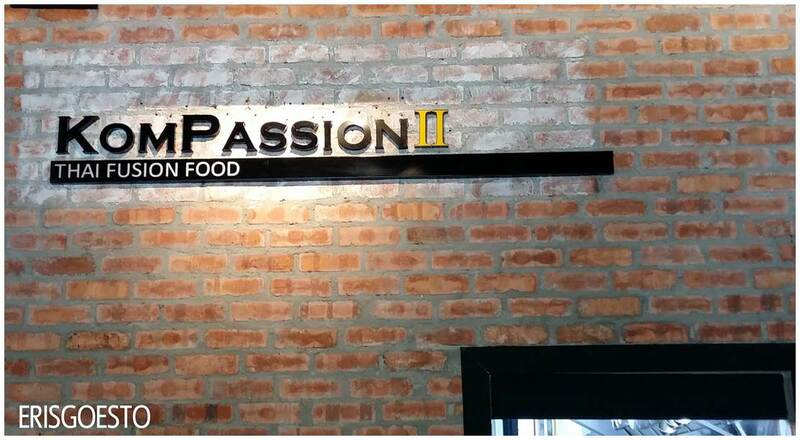 KomPassion II is the second outlet helmed by Chef Nikom Uatthong, the first being KomPassion at Damansara Kim, which already has a stellar reputation for its awesome food. 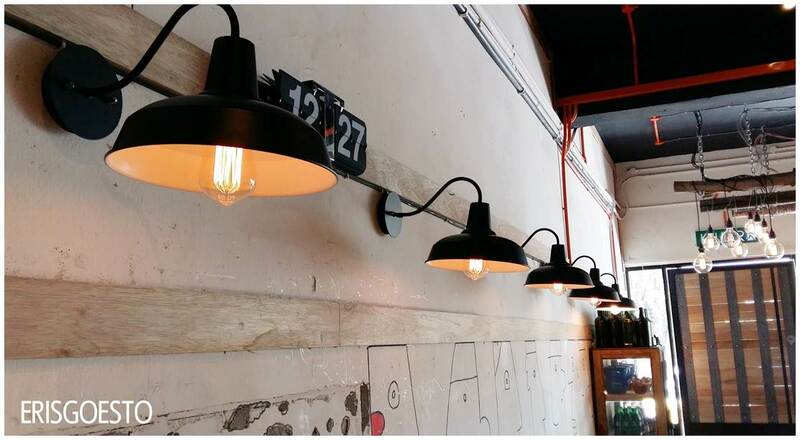 V.II has a similar cozy ambiance, with warm yellow lighting and tall windows for lots of natural sunshine. 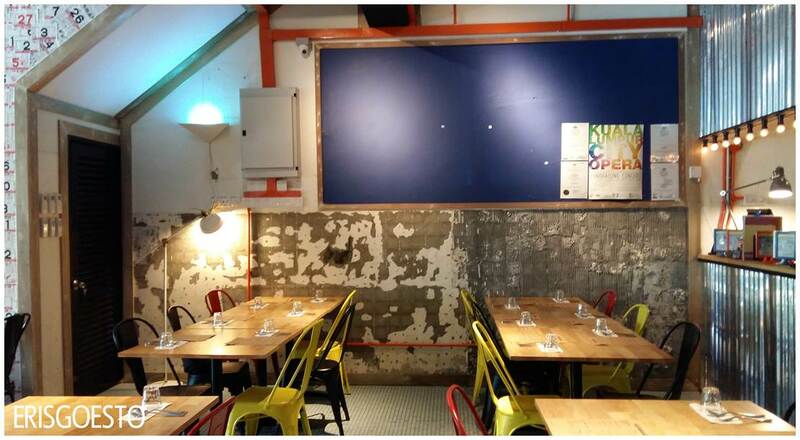 The menu is written on a chalkboard, while the wall is plastered over with calendar dates. Walls are intentionally left exposed with a ‘peeled’ look. All part of the aesthetics. 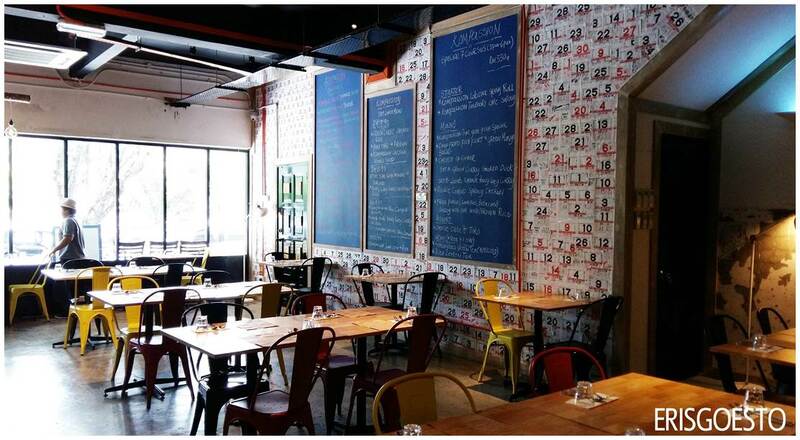 Tables are polished wood paired with colourful steel chairs. 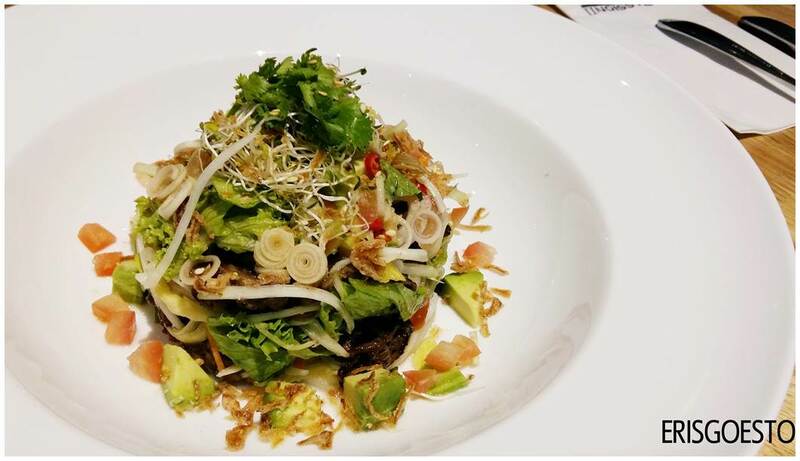 We start off with Pucuk Paku Salad with Young Coconut. 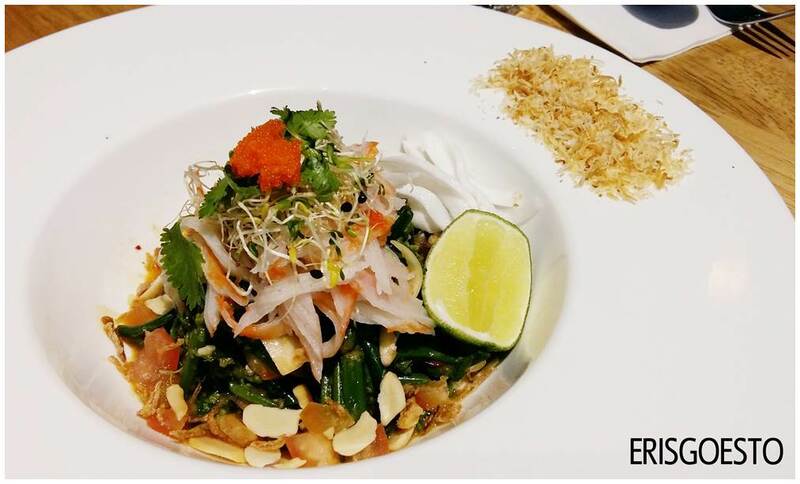 Western salads may use lettuce or romaine, but the version here is a marriage of Thai ingredients and the classic Malay ulam – a mix of crunchy ferns, shredded crab meat sticks and young coconut, topped with a dollop of fish roe and a side of coconut shavings. You get a bit of everything: salty and mushy from the roe, sweet from the coconut flesh, crunchy from the almonds – truly a beautiful marriage of textures and flavours. 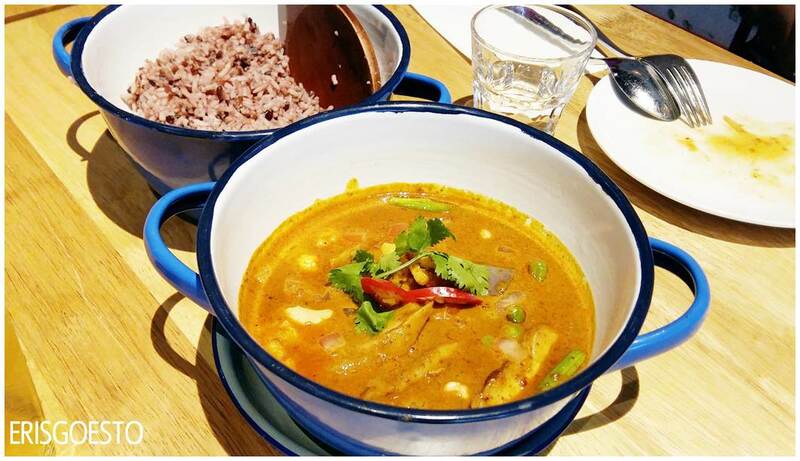 The house special is Hang Lay Chicken Curry, a specialty from Northern Thailand that has been tweaked to suit local tastes. Inspired by Indian curries and spices, the version here is not too hot but still gives a nice kick. It is also sweet rather than savoury, with strong hints of masala powder, cumin and coriander. The original version doesn’t have coconut cream, but since Malaysians love strong flavours, the one here uses it for a smoother, creamier taste. Easy to polish off bowls of rice with these. 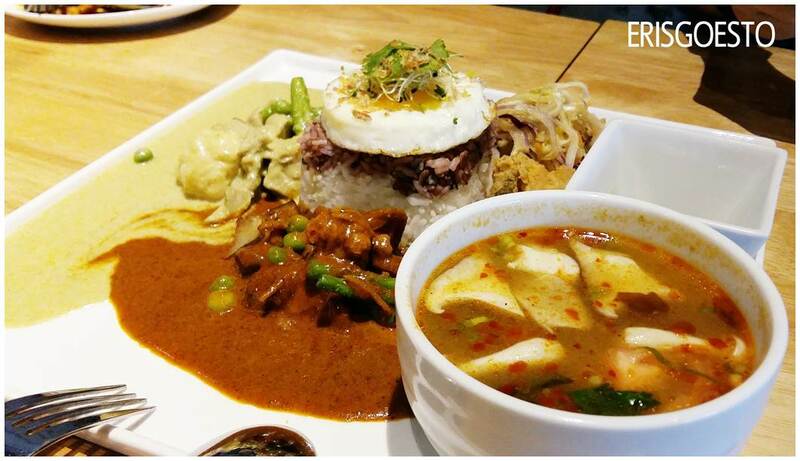 For those who want to try a bit of everything, there is the Nasi Campur Special, which comes in a generous serving of two different curries (green Thai curry + the earlier Hang Lay chicken Curry), white rice/brown rice topped with fried egg, fried chicken and fish, and a side of tangy mango salad. To cap it off, a bowl of spicy tom yam soup. What can I say? Hearty comfort food at its best that will have you polishing the plate and licking it clean. Used to tom yum soup being orange or red, so when the Fish Special Tom Yum was served, we were a bit surprised to find that the broth was clear. 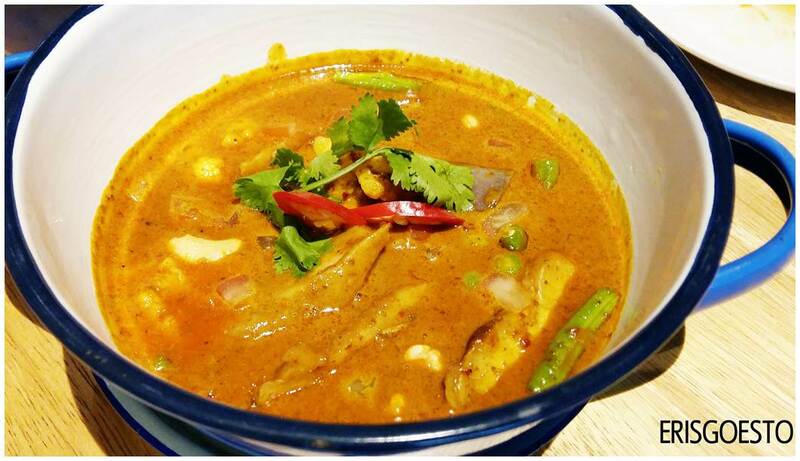 Filled to the brim with plump mushrooms, fish fillets, lemongrass and tomato, it was hot without being overpowering. Despite the sweat rolling down our foreheads, we kept dipping our spoons in for more. To tone down on all that spiciness, dessert was in order. 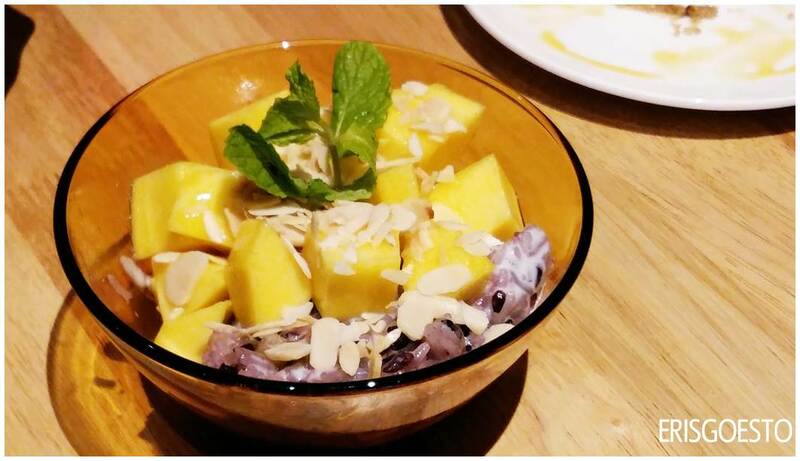 Go for the creamy and rich Coconut Gelato with Red Ruby and Jack Fruit. 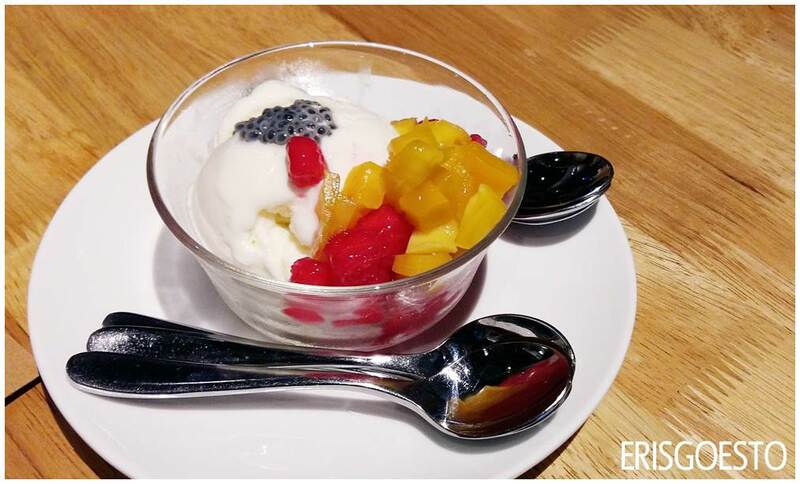 The ice cream is milky with vanilla overtones, and its soft melting texture is great with the chewy red ruby and crunchy jackfruit. 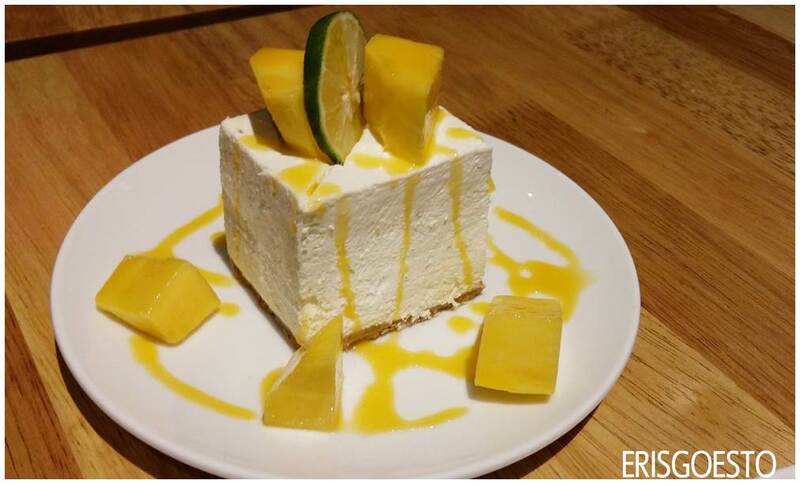 The cheesecake, served in a huge block, was robust and creamy, balanced out by sweet/sour chunks of mango.